Aft of the CPO’s quarters and head is Officer’s Country. This passageway contains the eight staterooms where the KIDD’s officers lived, two or three to a compartment, depending upon seniority. 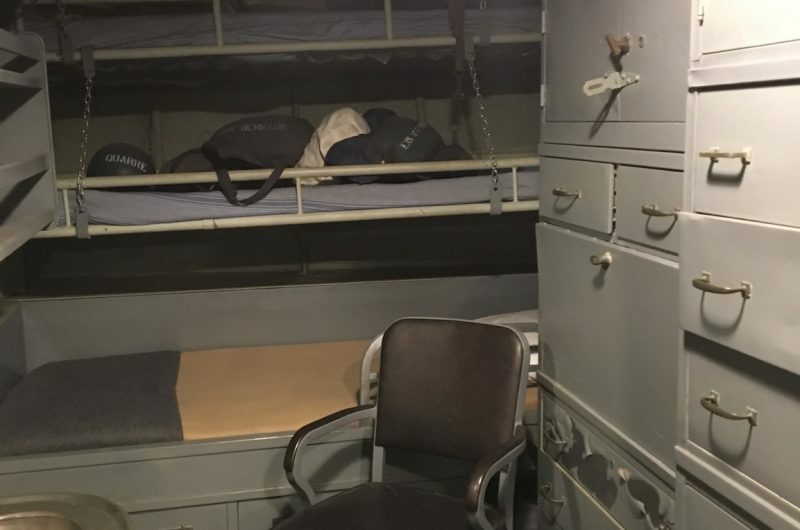 Politely called “staterooms,” these cabins functioned as sleeping quarters, lounges, and offices. 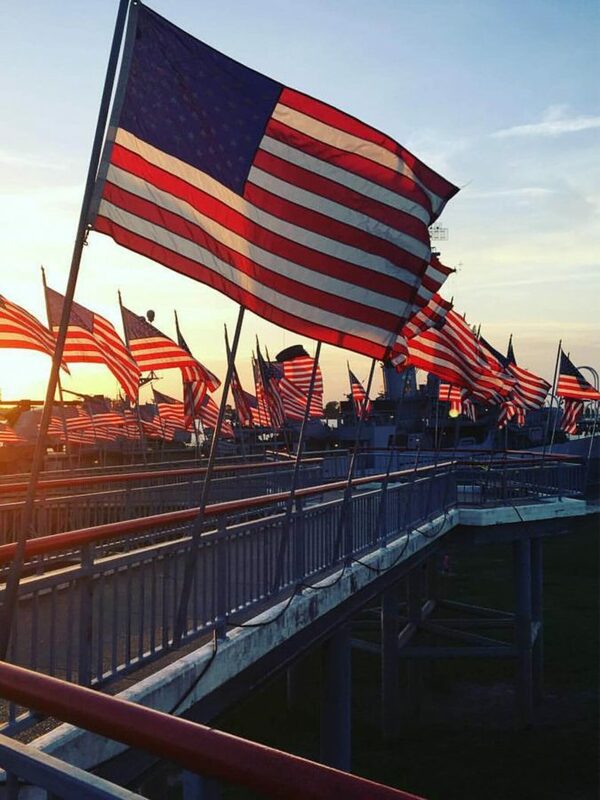 Based on appearances, the officers had much better living arrangements than the men one deck below them. But in actuality, they did not have that much extra room. 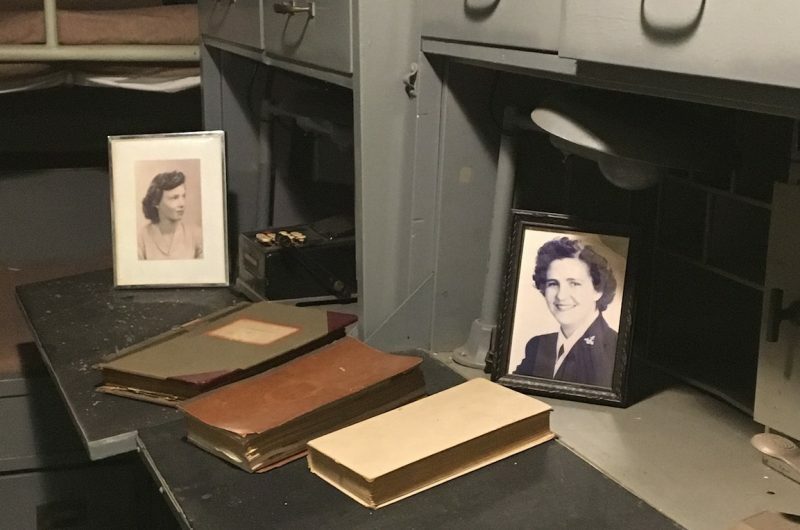 Packed with uniforms, technical manuals, life jackets, helmets, toilet gear, and a picture of the girl back home, there was barely room to breathe. 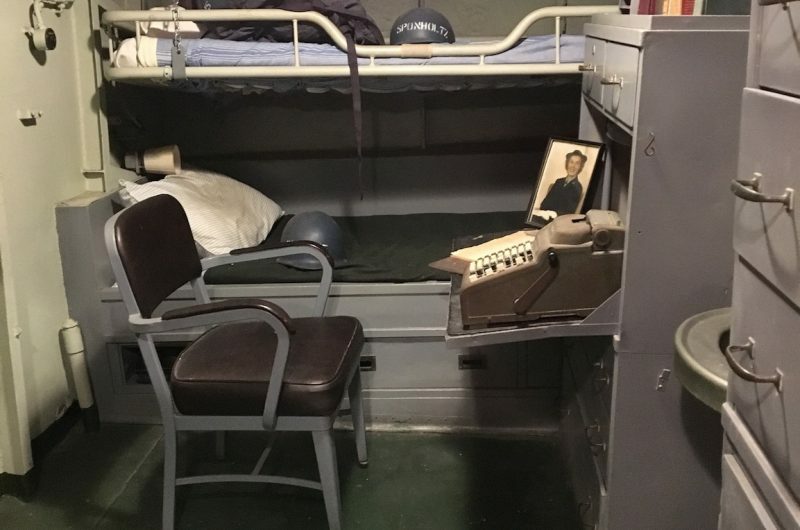 However, as one resident was usually on watch, and the second in his bunk, the third could usually count on enough room to change clothes. Curtains provided the only privacy. 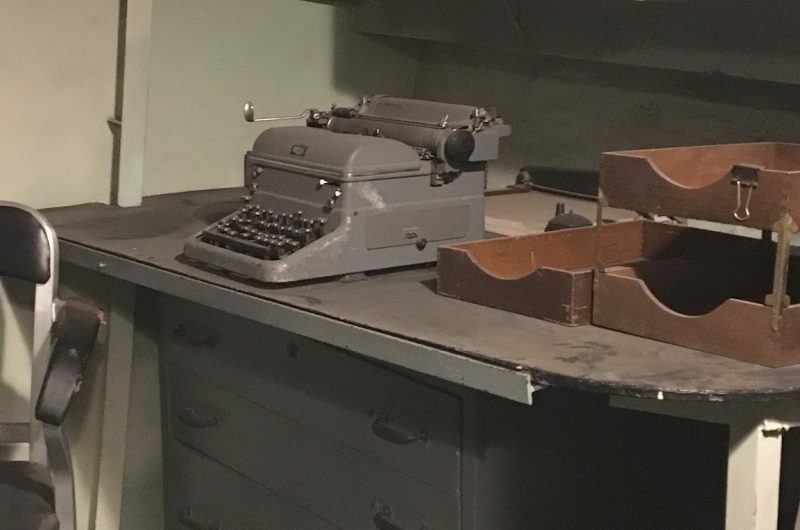 The lights in these spaces often burned late, as officers tried to cope with the bane of every naval officer: paperwork. 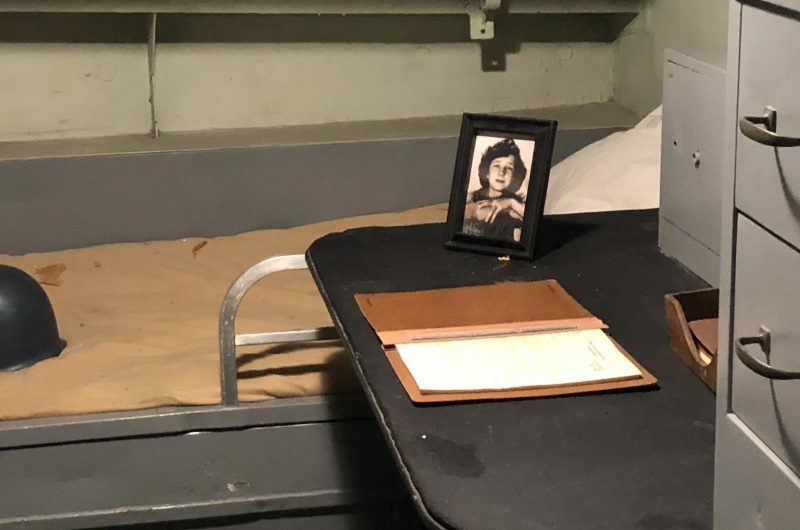 Training reports and schedules, fitness reports, action reports, requisitions, material reports, quarterly reports, and title “B” inventories flowed from these cubicles in a constant stream. However, there was always time to write a letter home, one report that no one minded doing. Located at the aft end of the corridor on the port side is the Executive Officer’s stateroom. The “XO” or “EXEC” was the second in command on the ship and was responsible to the Captain for all administrative duties and keeping the ship running smoothly. The large stateroom allowed him to hold conferences and spread out his work. 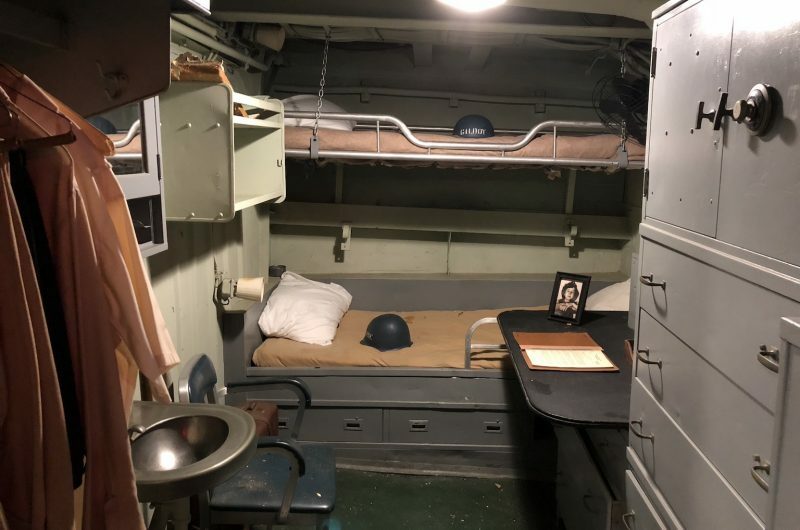 An extra bunk is located here which could be used for a downed aviator awaiting return to his carrier (pilot’s were usually officers) or an officer transferring aboard whose counterpart had not yet received his departure orders. The Officer’s Head is adjacent to the XO’s quarters. This is the most visible anachronism that visitors can find between the KIDD of today and the KIDD of 1945. 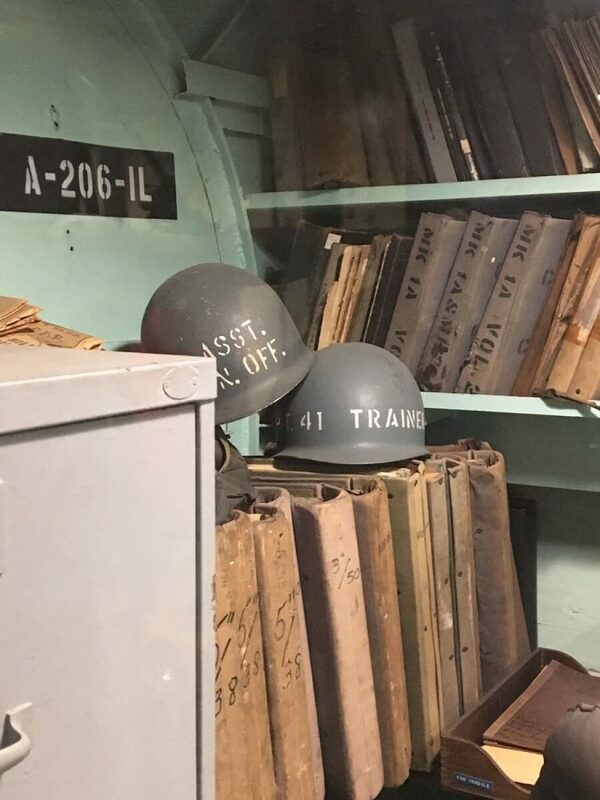 In 1945, this bathroom served the ship’s officers. Today, it serves as our onboard Ladies Room. 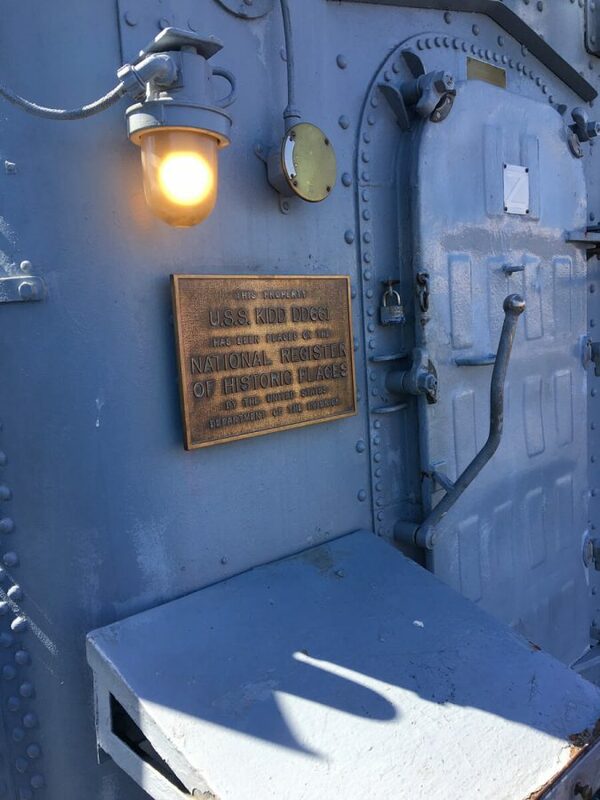 A female bathroom was not needed back then as women were not allowed to serve aboard combat vessels. Like the Chief’s Head, it too is spartan, featuring only one lavatory, one shower, and two toilets. 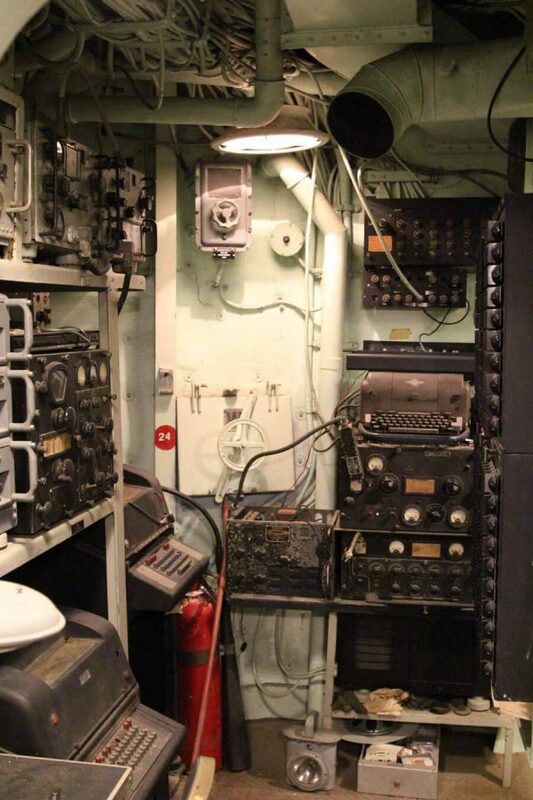 Just around the corner from the XO’s quarters on the starboard side is the Engineering Officers’ stateroom. 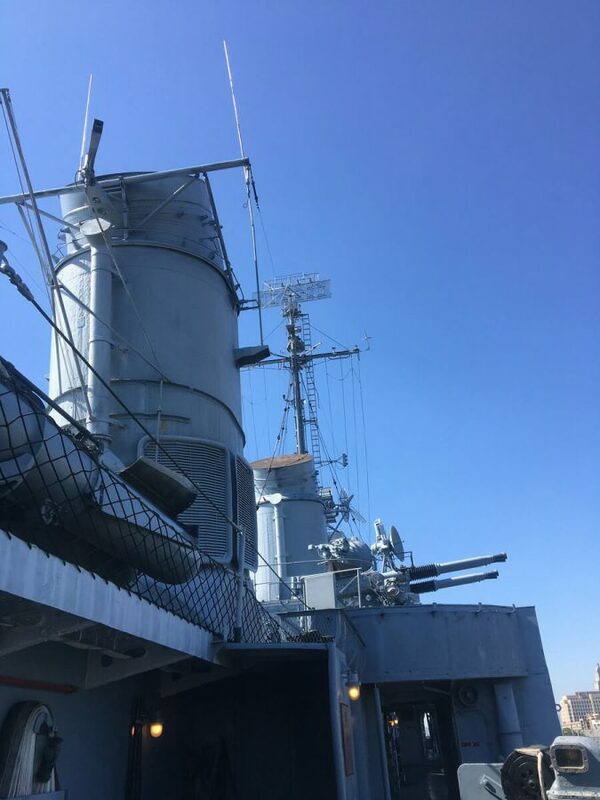 The Assistant Engineers bunked here and—together with the Chief Engineer—were responsible for the administration and operation of the ship’s main propelling machinery.